The Harvest of the Month (HOTM) featured item for December is kale. Check out these resources and ideas to celebrate Harvest of the month with local kale! Add fresh kale to salads or serve on the salad bar. Serve cooked kale as a dark green vegetable side. Trying adding kale to soups or stews. Kale, Apple and Quinoa Salad – from Bibb County School Nutrition Program. Tip: Use kale, apples and pecans from Georgia . Prepare this recipe in advance to allow the kale to soften. Kale Apple Salad – from Butts County School Nutrition Program. Kale Apple Salad – from Carrollton City School Nutrition Program. 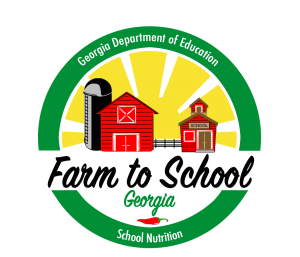 Kale Salad Meal and Kale Dressing – from Meriwether County School Nutrition Program. New School Cuisine: Nutritious and Seasonal Recipes for School Cooks by School Cooks – Page 74, Kale Pesto, page 138, Cheesy Kale Bake. Hold a taste test with kale chips. See the recipe on page 72 of the New School Cuisine: Nutritious and Seasonal Recipes for School Cooks by School Cooks from Vermont FEED, to make crunchy kale chips. Hold a taste test with this Georgia Grown Kale and Blueberry Salad. Kale joke: Q. Why is kale never lonely? A. Because they come in bunches. 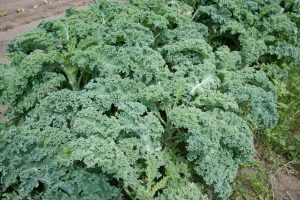 American Kale Association – A public forum for providing about kale and its health benefits. Kickin’ it with Kale – 2018 October Farm to School Month Campaign, from Georgia Organics. Find lesson plans for elementary, middle and high school, easy activities and other resources. Georgia Grown Kale and Blueberry Salad – a Georgia Grown Test Kitchen recipe, from the Georgia Department of Agriculture. Kale Salad – from Georgia Shape, Spring/Summer Recipe Series. Spaghetti Squash with Kale and Chick Peas – from Georgia Shape, Winter/Fall Recipe Series. What’s Cooking? USDA Mixing Bowl – Search for recipes using sweet potatoes in this interactive website. The website includes a searchable database for healthy recipes and can help with meal planning, cooking and grocery shopping, from the United States Department of Agriculture, Food, Nutrition and Consumer Services. MyPlate 10 Tips: Add More Vegetables to Your Day – A one page tip sheet on adding more vegetables to your meals and snacks, from USDA, Center for Nutrition Policy and Promotion.